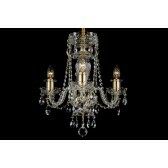 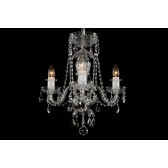 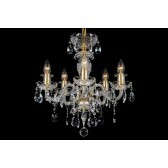 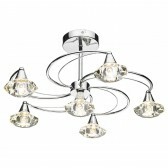 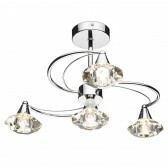 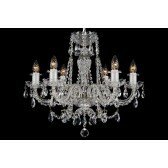 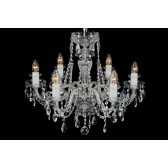 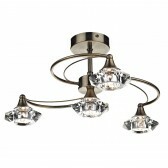 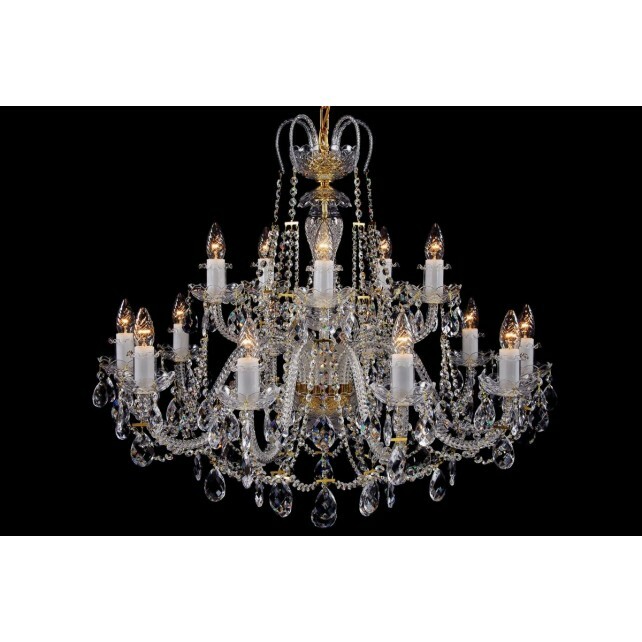 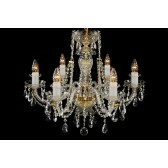 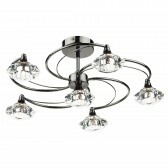 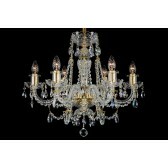 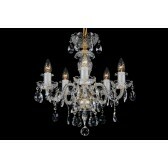 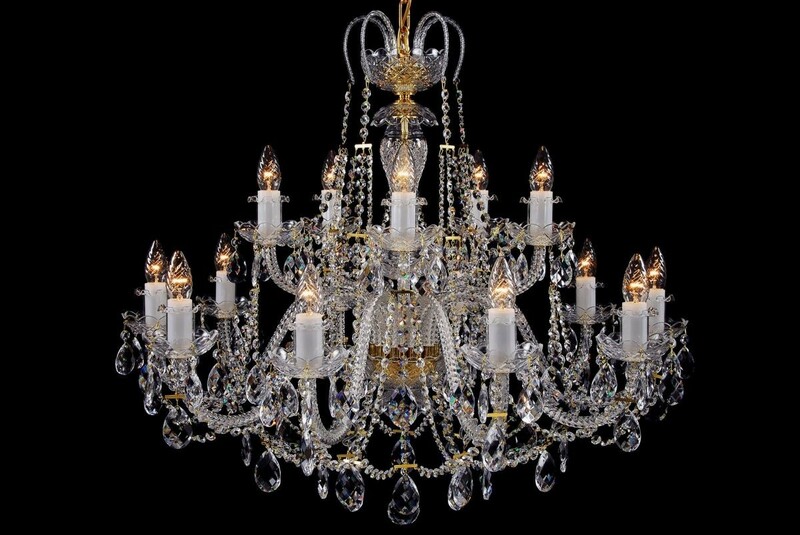 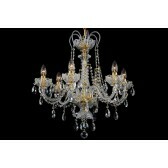 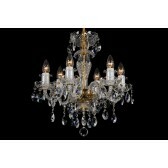 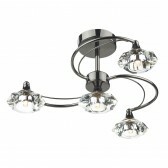 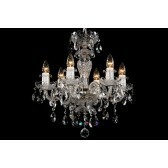 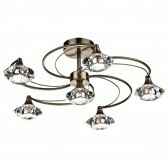 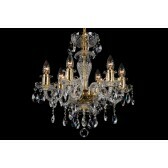 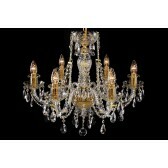 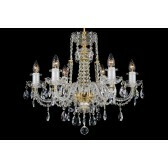 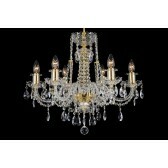 A fifteen-arm colourless crystal chandelier from the Crystal product range. 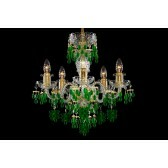 This chandelier is ornamented with crystal chains and a high crown forming small glass arms on the upper dish. 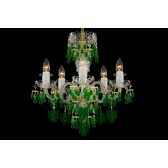 This chandelier can be combined with smaller twelve-arm chandeliers decorated with a crown. 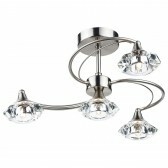 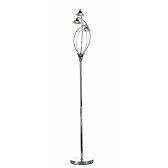 It can be also complemented by two-arm crystal wall lamps of the same colour.